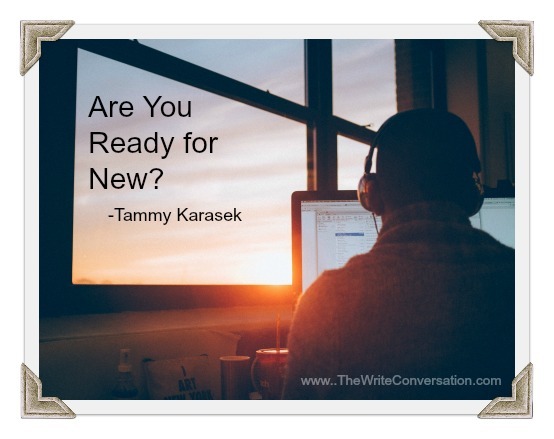 The Write Conversation: Are You Ready for New? When our daughter was at home, our plans and calendars ran with the school year. We rang in the new school year with a few new clothes and always an ice cream cone after the first day of school. Dates on the calendar would be filled in with events for that first semester. Even though we started our new year in August, we’d always have fun on December 31st as we celebrated and watched with anticipation as the ball dropped in Times Square announcing a new year with friends and family. As the daughter grew up and moved out, the new school year calendar became less and less important. January 1st became our marker for a new year. I’d purchase calendars that matched that system. Since it’s January, I’ve begun a new calendar again. I’ve put important dates on the proper pages and written reminders to make appointments at the appropriate time. I’ve even decorated my pages with stickers and doodles to make me smile when I look at the work to be done. It’s worth a shot to make chores look more fun, right? As I read it, I wondered how this could apply to my writing—our writing. After all, each piece we write is new, right? Mulling it over, I came up with the three things below for the New Year and for writing. I hope it is helpful for you as well. 1) I’m a new creation – so write like one. Make the words that I write be a testimony of the One who made me new. Whether I write fiction or non-fiction, make sure my message points back to God so that others will want to know more of Him, not me. 2) Let the things of 2018 go. That time has passed—leave it there. Don’t keep thinking about writing pieces, pitches or the like that didn’t fair so well. It’s a new year and a new you, use the lessons learned from them and write from a fresh attitude. 3) The New Year is here—the new you has come. Sit up tall and take in a deep breath. Write with a new sense of purpose. God has called you to write His story through your life experiences, so think of a new way to share God’s love through something you write this year. That’s what I’m trying to do for the New Year. What about you? Wonderful piece, Tammy. Good on you for becoming what God had planned all along in spite of an imperfect past. Your message is sound and your bio reveals the giver you've become. Thank you, Jay, you're very kind! Just what I needed to read this morning. Thanks. Glad it encouraged you, Clella. An encouraging piece of advice to start the new year. Thanks, Tammy. 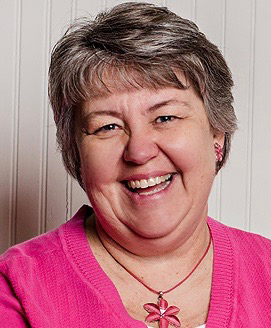 Carolyn Knefely here appreciating your message. Share on! Tammy: A lot of good advice here. A friend of mine gave a sermon where she told us to "live in the moment." I have had to adopt that attitude. I like Paul's words to the Philippians,"Brothers, I do not consider that I have made it my own. But one thing I do: forgetting what lies behind and straining forward to what lies ahead, I press on toward the goal for the prize of the upward call of God in Christ Jesus." (Phil.3:13-14, ESV) This passage and an interpretation from Warren Wiersbe helped me with a major issue in my life. Yes! Live in the moment is great advice. It certainly doesn't help to stay focused on what is behind us. Blessings to you. Now is a good time to ponder these things. Thank you for the encouragement. Thanks, Donevy! Yes, it is. Your three points are thought-provoking, Tammy. Being we learn a lot by being still. And His mercies are new every morning. Thanks for sharing, Tammy. And I'm so grateful they are! Yes! Beth, it's hard to sit still for me, but I'm learning!! Nothing like a pair of crutches to pin you down!